A dark presence is collecting girls, deep in the forest. Two girls have vanished, and now a third. Cassie and her friends desperately search the forest for their friend, who went missing on a hike. When they find vintage dolls hanging from strings on branches, they should have turned back. The dolls lead to a crumbling mansion. 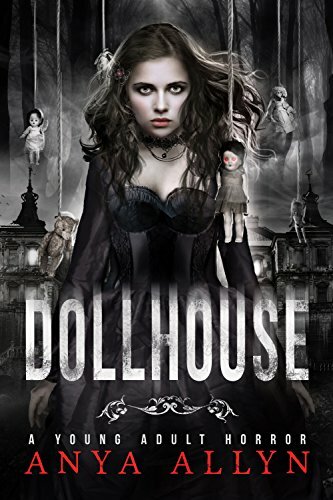 Beneath the mansion lies a macabre, life-sized dollhouse that is controlled by a terrifying being. In the dollhouse, you must dance until your feet bleed, sit on the toy shelf if you're bad, and if you've been very bad, you are sent to the toy box - a pitch-dark cavern that contains beings beyond nightmares. And now there is no escape. As I’m still in Indiana, most of my reading is done at bedtime, but I can’t have the lights on or the kids won’t go to bed. So… I started with the As on my Kindle and picked some random read. This one starts out fairly slow, featuring four kids talking a nature hike in the bush in Australia. And then things turn extremely creepy. I’m a bit confused about the ending, but really enjoyed the horror story up until then. I wonder if the second book is a continuation or a different set of characters? I Might just have to buy it and find out.